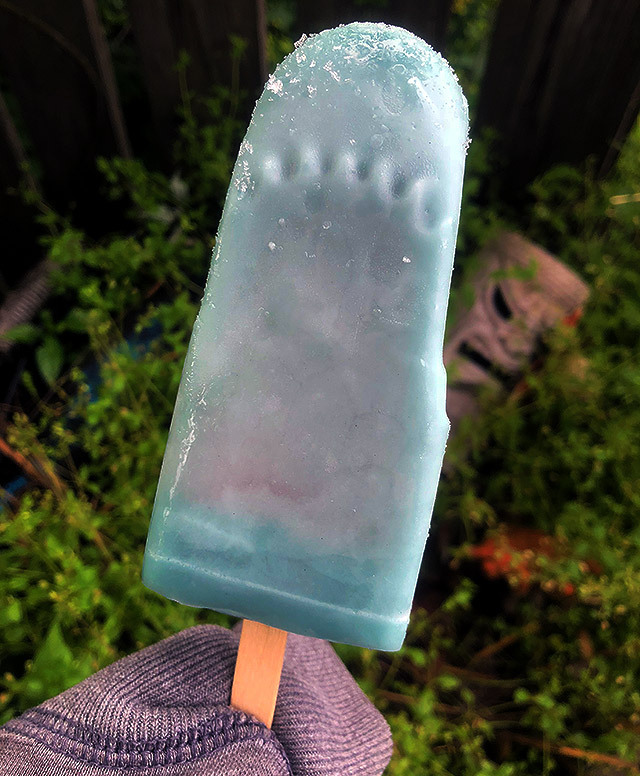 The Jaws Bar Ice Pop Taste Test! | Dinosaur Dracula! 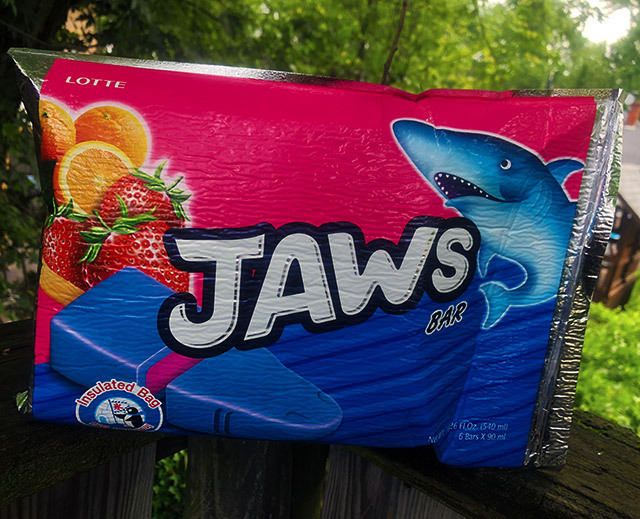 It is my great honor to introduce you to the coolest thing on Earth: THE JAWS BAR. If you listened to the last Purple Stuff episode, you heard us gush about these incredible shark-shaped treats, which are made in South Korea. So did our friend Nicole, who discovered that they were actually available at a semi-local store! Seriously guys, these things are fantastic. 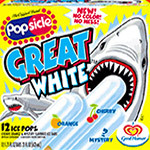 Shark-shaped popsicles filled with strawberry shark guts! 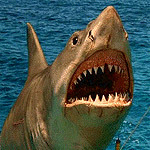 AND THEY’RE NAMED AFTER JAWS! 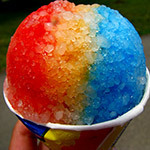 I can’t imagine a more appropriate treat for Cruel Summer. They totally took over my weekend, and it was so worth it. 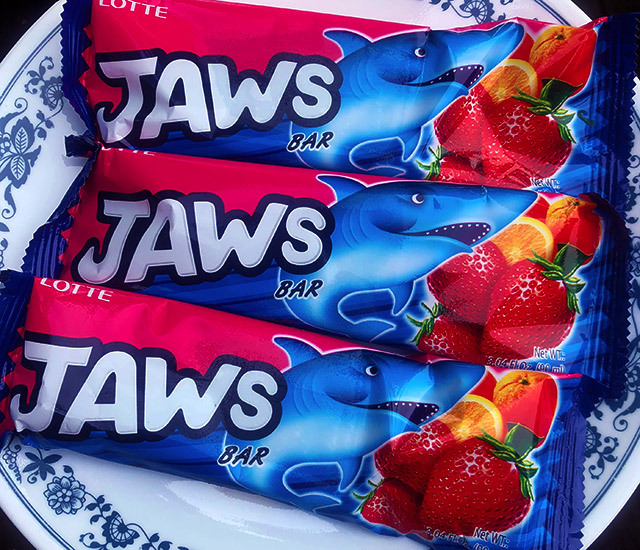 Enjoy the video, and if you decide that you need a Jaws Bar, check your nearest Asian food market. 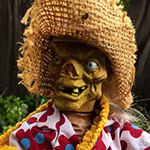 Ya might get lucky! See? 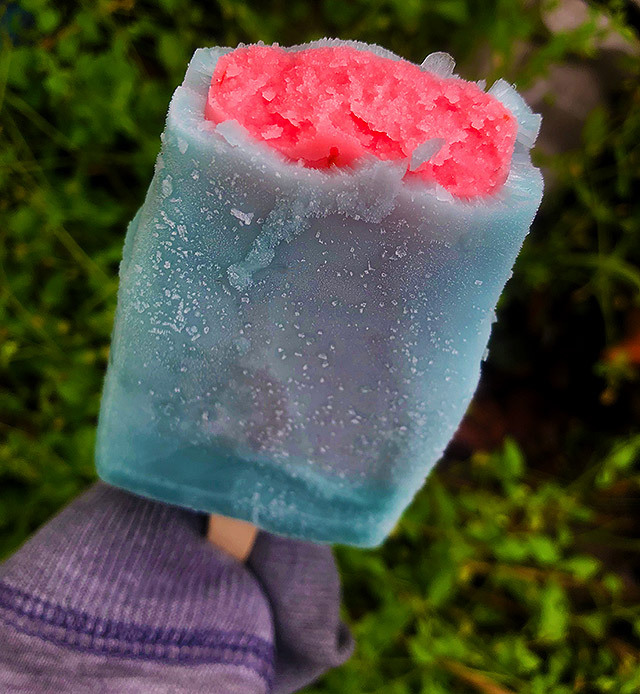 Summer isn’t so bad! 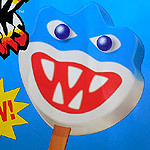 Thanks again to Nicole for sending in the hot tip, and also to the Lotte Confectionery company for making such insanely great pops. 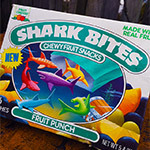 6 Fun Facts about Shark Bites Fruit Snacks!